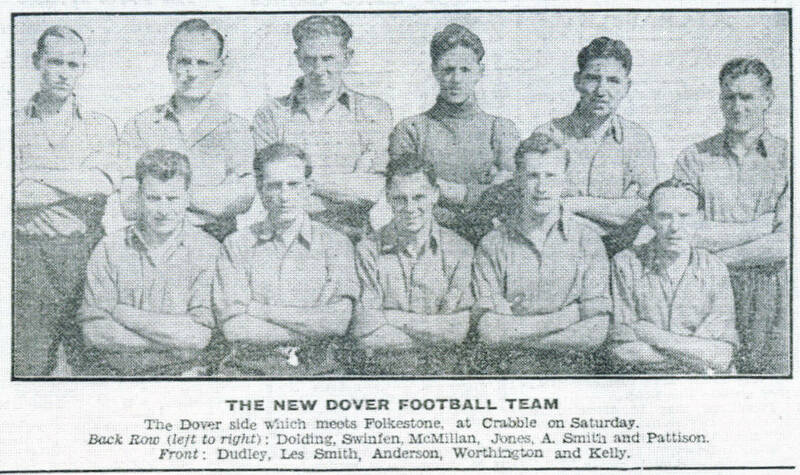 This is the Dover side that drew 2-2 at Deal Town on 18th.August, 1951. Back Row(Left to right): Len Dolding, Reg Swinfen, Wally McMillan, David Jones, Albert Smith, Johnny Pattison. Front Row(Left to right): Les Smith, Freddie Anderson, Eric Worthington, Jimmy Kelly.